When it comes to film franchises, there aren’t many that stand the test of time as well as maintain consistency the way that the Rocky series does. Upon its release in 1976, the original Rocky was a smash hit about Rocky Balboa (Sylvester Stallone), a little known boxer, who manages to make his way to the big time and go the distance with heavyweight boxing champion, Apollo Creed (Carl Weathers). In 2018, the franchise is a staple of popular culture that solidified Sylvester Stallone as a credible actor and filmmaker. Stallone, also known as Sly, has yet to throw in the towel as the Rocky Balboa character lives on in a spin-off franchise spotlighting the illegitimate son of his rival and friend, Apollo Creed. The newest entry into the spin-off franchise, Creed II, hit theaters on Thanksgiving. 2015 marked the release of the first spin-off, Creed. The film was a surprise hit that boasted excellent direction and storytelling from writer/director Ryan Coogler. 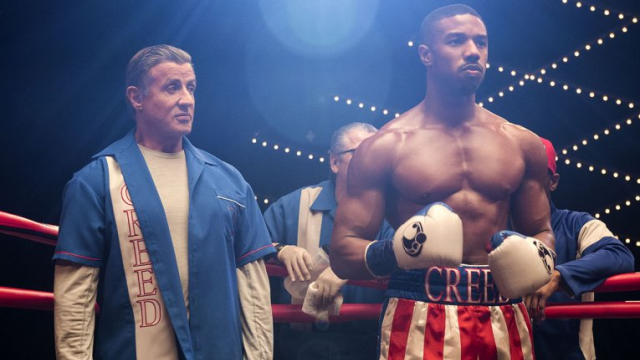 It was also noted for its performances from young Michael B. Jordan as Adonis Johnson/Creed and landed Stallone a Best Supporting Actor nomination for his return as an aging Rocky Balboa. Overall, Creed was a wonderful extension of the Rocky series and passed the torch to keep this specific universe going. There was even an installment of Best & Worst on this site in which Creed landed at the #2 spot right behind the original 1976 film in franchise supremacy. 2015’s Creed established new, likable characters and opened the door for the series to continue on. Now, with Creed II, the story delves even further into the lore of past Rocky films while still keeping the future bright for further entries. The plot picks up three years after the end of the first Creed. Here, Adonis Creed AKA Donnie lands himself a championship fight against Danny “Stuntman” Wheeler (Andre Ward). From here, Donnie’s life is on an upswing as he captures the title and proposes to his girlfriend, Bianca (Tessa Thompson), whose music career is taking off. Though, a specter from Donnie’s family’s past re-emerges as Ivan Drago (Dolph Lundgren) arrives in Philadelphia, by way of Russia, with his son, Viktor (Florian Munteanu). Ivan, of course, is the man responsible for beating Donnie’s father, Apollo, to death during an exhibition fight in Rocky IV. The Dragos challenge Donnie for his championship in an attempt to regain glory for the family name following Ivan’s past defeat to Rocky Balboa (Stallone). Rocky urges Donnie not to take the fight but Donnie does so anyway. Much of the creative force behind Creed returns in some capacity for its sequel. Due to their work on this year’s Black Panther, Ryan Coogler and Michael B. Jordan caused production on Creed II to be delayed. Ultimately, Coogler doesn’t man the director’s chair nor have a writing credit this time but lands a producing credit instead. Cheo Hodari Coker, known for Netflix’s Luke Cage, and Sascha Penn are credited with Creed II‘s story while Juel Taylor and Stallone himself receive screenwriting credits. Stallone, of course, has written and directed a number of the films in the franchise previously. Relative newcomer Steven Caple Jr. takes over directorial duties on this film. He does a great job maintaining Coogler’s tone from the first film while adding his own personal flair as well. As is the case with any film from the extended Rocky series, the films are nothing without their characters. Michael B. Jordan, Tessa Thompson, and Sylvester Stallone don’t miss a beat in their returns here. Initially, Jordan’s Donnie is a bit arrogant and hotheaded following his title win. He’s different than he was at the end of the first Creed. Yet, following a shellacking from Viktor Drago, he returns to his more humble ways leading up to the final showdown. Tessa Thompson’s Bianca gets more love this time around as more than just a supporter of Donnie. She has her own career to worry about as well as her struggles with hearing loss. While still a big part of the film, Stallone’s Rocky Balboa takes a slight step back as Donnie becomes the focus of the spin-off franchise. 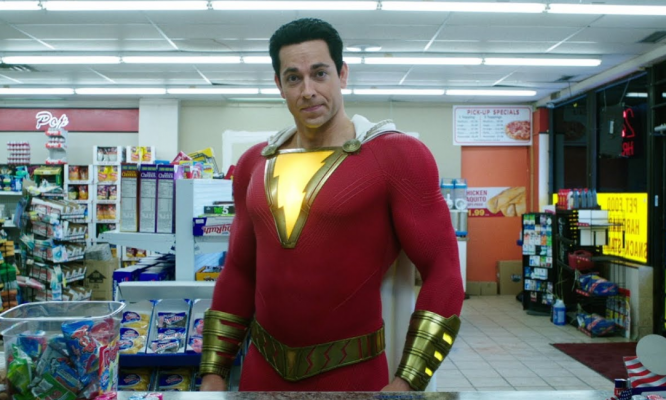 He’s still excellent as Rocky but a little less prominent than in his 2015 resurrection of the character. Dolph Lundgren’s return as Ivan Drago is a welcome sight to this film. As arguably Rocky’s biggest threat, Drago lacked much character development in Rocky IV while being advertised as an unstoppable force. In Creed II, the Drago name has lost all of its dignity. Thus, Ivan puts everything he has into training his son. As much as Creed II is about Donnie’s chance to persevere, it’s also a chance at redemption for the Dragos. Though, Florian Munteanu’s Viktor doesn’t get a ton of dialogue, you still feel for both Dragos as they seemingly have nothing to lose and everything to gain by challenging Donnie. The ties between this film and Rocky IV are abundantly clear but Creed II also has, perhaps, more in common with Rocky III. In that film, Rocky’s trainer, Mickey (Burgess Meredith), doesn’t want to train Rocky for his fight against Mr. T’s Clubber Lang. Rocky has become more flashy and doesn’t have the killer instinct that Lang has. The same idea is demonstrated in Creed II as, again, Viktor Drago has everything to gain while Donnie has everything to lose. In our Best & Worst, we stated how Rocky III was “good 80’s cheese” while IV was “bad 80’s cheese.” Luckily, in this new film, there’s a good balance given the story’s source material. While an extremely memorable movie, Rocky IV tends to be kind of a joke. Yet, somehow, the filmmakers were able to take the story from IV and adapt it to make a very serious and dramatic piece of cinema that translates well in 2018. In hindsight, suffering through the more cringeworthy moments of Rocky IV feels rectified by the story arc of Creed II. 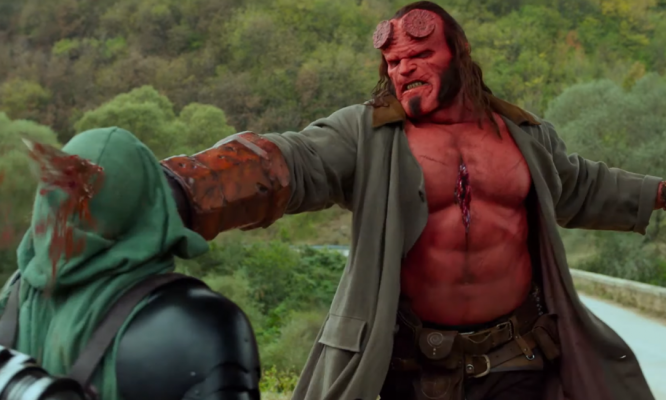 However, there are a handful of things that do slightly bring the film down overall. As we’ve already discussed, the story isn’t overly original as it rehashes both Rocky III and IV. 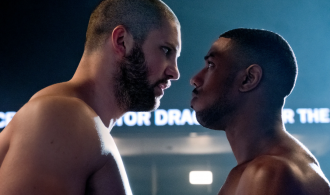 It’s not a huge issue as the central ideas are applicable to these specific characters in Creed II, but it still must be addressed. There’s also the return of Brigitte Nielsen’s character, Ludmilla. In theory, her inclusion should help develop the characters of Ivan and Viktor more but the addition of the character seems to be more of a missed opportunity than anything. Though, the biggest issue with Creed II is that it tries to do too much in the film’s beginning. It touches on Donnie’s rise and downfall. Then, the film shows his up and down relationship with basically every other character. Donnie’s mother, Mary Anne (Phylicia Rashad) is also given a bigger role. Sometimes the film throws too much adversity at Donnie instead of just focusing on a small handful of ideas instead. Regardless, all sins are forgiven once Creed II hits its obligatory training montage. 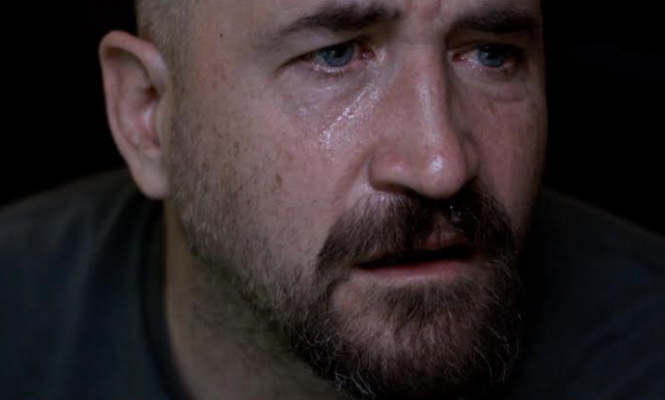 From there, the film is pure, heart pounding drama as only a Rocky film can provide. Of course, the fight between Donnie and Viktor is the highlight which is usually the case in this franchise. Yet, there are countless details that are executed to perfection and have caused the series to last this long. Even something as simple as playing the classic Rocky theme at the perfect moment during the film’s climax will give viewers goosebumps. Although Creed II doesn’t exceed the quality of its predecessor, it’s still nestled in the top tier of the franchise. Again, if Rocky IV needed to exist so that we could have Creed II, consider it a fair trade.